Android Pay users on Google Chrome mobile web can now pay online using their PayPal account and their fingerprint – without needing to enter in their username or password. As reported last month, Google inked several deals with PayPal (and banks) to advance its Android Pay, and this latest partnership expands it even more. Bill Ready, COO, PayPal, says it is similar to PayPal’s deployment of One Touch, as merchants on the latest versions of PayPal Checkout will not need to do any integration. Pali Bhat, VP of payments products at Google, adds that mobile checkout “remains one of the biggest sources of friction in the commerce experience”. PayPal is bigging up its mobile strategy and often touts its stats – such as 200 million users and 16 million merchants. Ready states that more than 53 million people have opted into its One Touch, with five million merchants onboard. PayPal has also made a number of other partnerships. These include Discover Financial Services, Citi and FIS, Mastercard and Visa. 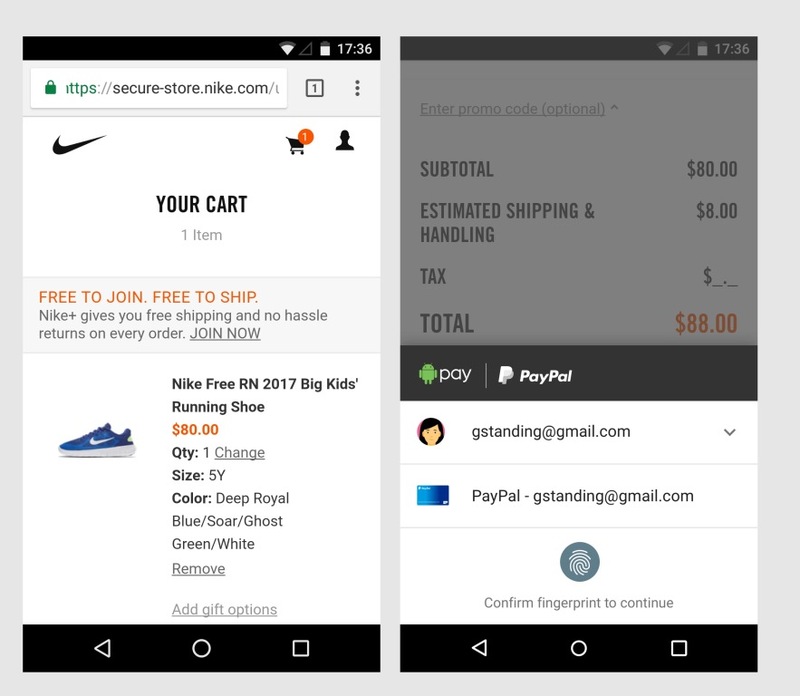 The PayPal integration with Android Pay is supported on versions of Android OS 4.4 and higher, including KitKat, Lollipop, Marshmallow and Nougat. The service will “start rolling out to US consumers soon”.